Blinds by Peter Meyer’s conservatory awnings have an increased visual appeal while also reducing heat in outdoor areas. The Australian family owned company, is the leading provider of innovative window assemblies and has led the building and design industries for over three decades coupled with testimonies of outstanding service. Weinor, one of the world’s leading providers of sophisticated window solutions nominated Blinds by Peter Meyer to be its official Australian supplier. The German-based company’s products are made of high-quality components and precision designs, using state-of-the-art technologies. 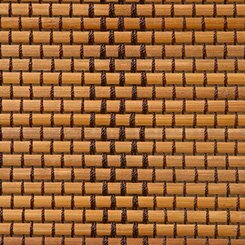 The high demand for Weinor’s products invariably leads Blinds by Peter Meyer’s list of clients. Blinds by Peter Meyer have many products in its stable, but the Sottezza II is one of its most attractive offers. 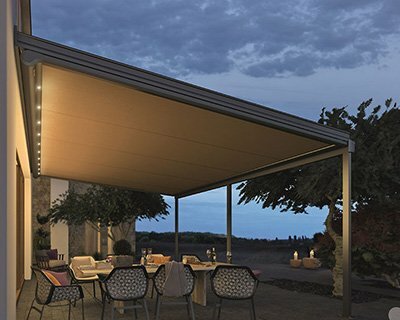 The Sottezza II is adaptable to most constructions and also has an excellent flexibility and under-mounted conservatory awnings for heat reduction. 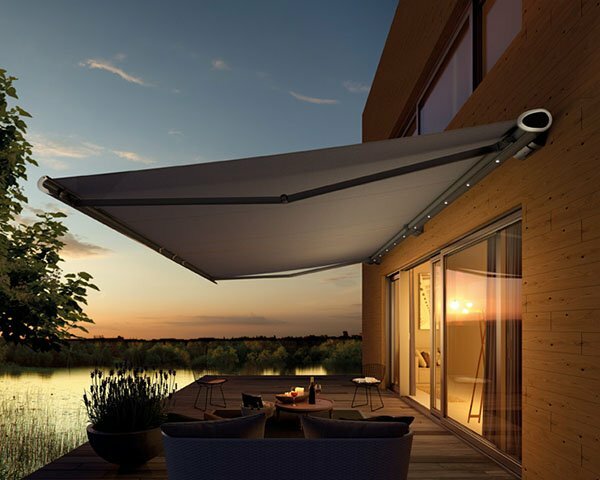 The Sottezza II has an elegant cassette design by Weinor, and it also complements nearly every patio roof user which enables them to stay shielded from the ultraviolet (UV) rays of the sun and the attendant intense heat. The Sottezza II OptiStretch with fabrics “zipped” in the side channel for security reasons, and standard Sottezza II, which is fitted with fabrics clamped firmly on its two sides are the clever two versions of Sotezza II. Design professionals across Australia and Queensland in particular, as well as homeowners, have given positive reviews to all the versions of Sottezza II. Queensland typically experiences a warm tropical climate even though its size contributes to the different weather patterns across the state. Also, the beaches along its 7400km coastline and its good supply of sunshine encourage people to visit the state throughout the year thus turning Queensland into a tourism hotspot. 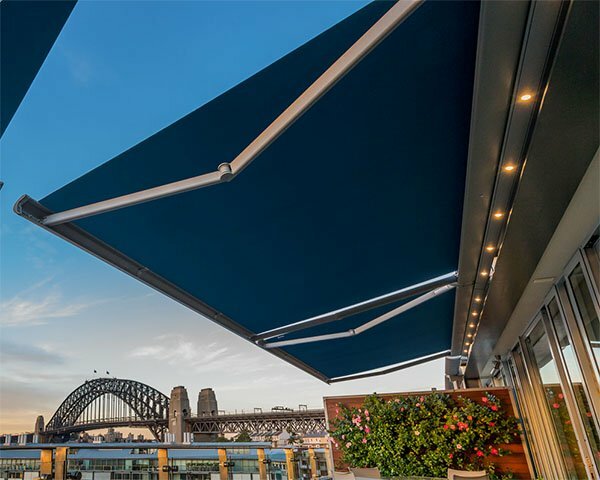 Whether for homes or commercial use, Sottezza II offers a stylish and inexpensive solution for keeping cool in Queensland. Clients are free to choose from 108 pure colour acrylic fabrics offered by Blinds by Peter Meyer. The offering also includes 32 specialty fabrics for Sottezza II as well as 57 magic colour polyester fabrics. Furthermore, to suit a broad range of design styles, 56 colours are available for the frame of the window assembly. Intelligent Somfy technologies power optional motorisation of Sotezza II. At the touch of a button, users are served ultimate convenience as well as a broad range of controllers and switches provided by Somfy motorisation. Users can run multiple blinds using one controller, and while users are away, seamless operations can still be carried out using sensors and timing options. Also, to control the heat and the infiltration of light through the blinds, Somfy motorisation leads the way as an energy-efficient choice in this regard. While the quiet and discreet operation of Somfy motorisation is sure to impress guests, its smooth and controlled movement promotes the longevity of the product. 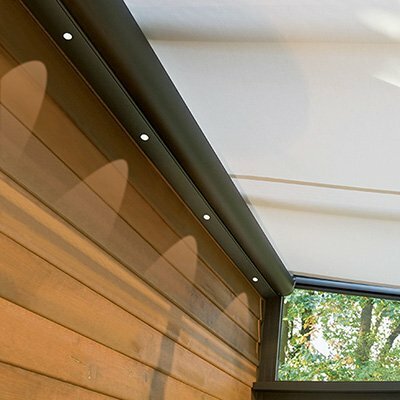 Blinds by Peter Meyer also offer its clients a five-year comprehensive warranty on Sottezza II. Check out our conservatory awnings for more details on how they can reduce heat in Queensland.